Did NOT flood in Harvey. Nice Mobile Home in the heart of Santa Fe with extra large double wide concrete parking that can park up to 6 vehicles probably. 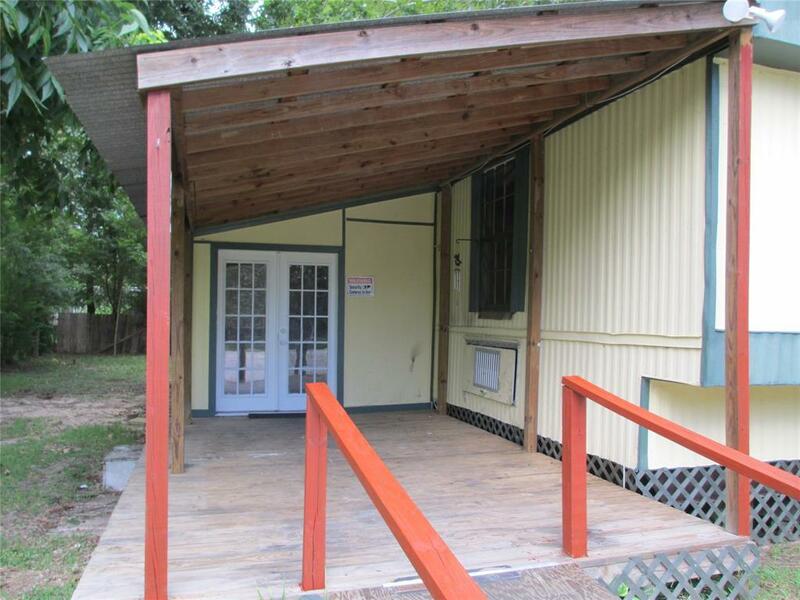 Cute covered porch and extra bonus mud room with double French doors before you enter the home. Extra large bathroom and another bonus 9x7 bonus room for home office or extra storage. 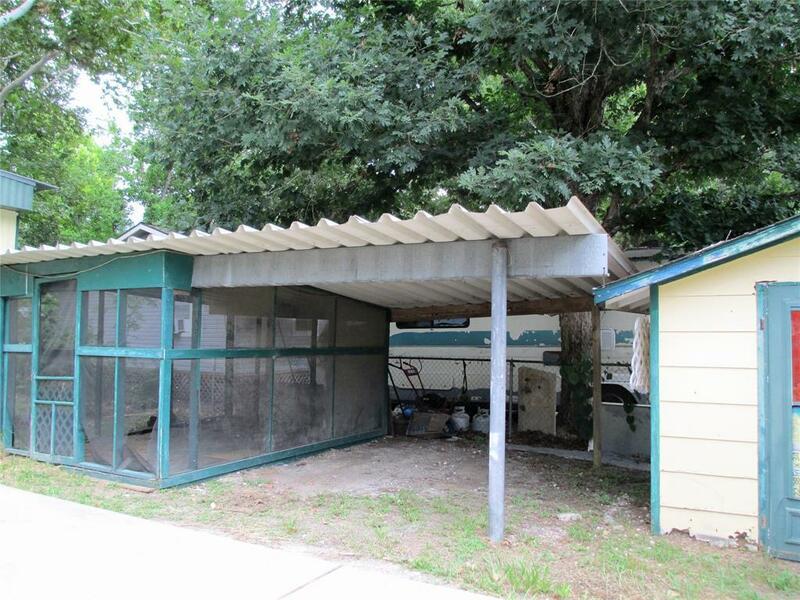 Plus there is a screened in area for storage or set up a chicken coop or make it another play area for the kids. Additional storage shed too. 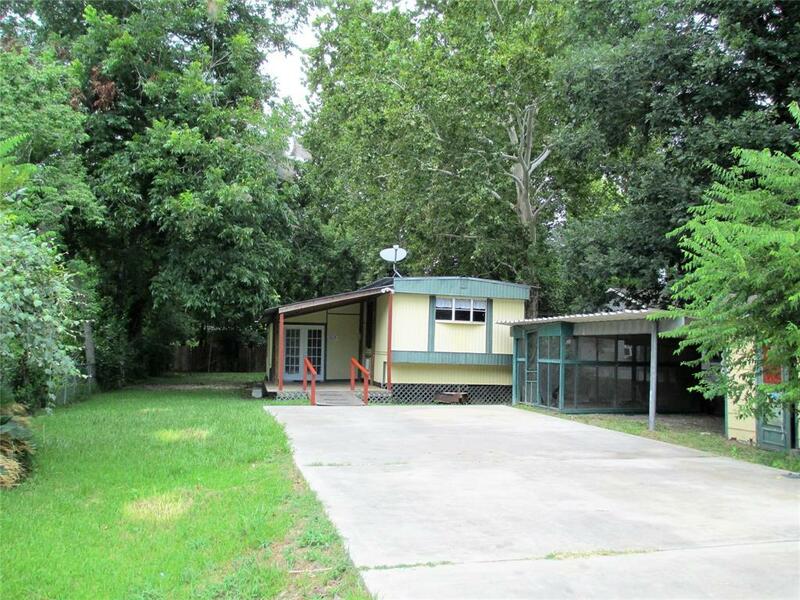 Nice mature trees line the property on a quiet street in SFISD! Priced to sell quickly for all that this one has to offer. 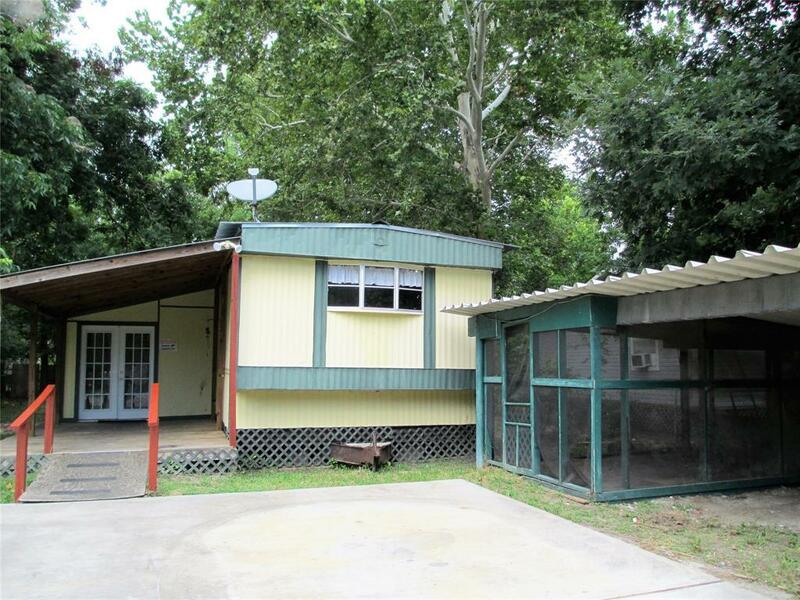 Could make a great rental property for an investor just starting out! Refrigerator can stay as well in this nice sized kitchen and open entertaining concept. Come make this your own! City services so you don't even have to bother with well and septic, utility room in the home. This one won't last long, call today for an appointment. Listing courtesy of Sunrise Realty.